I’m not the only kid who grew up this way surrounded by people who used to say that rhyme about sticks and stones as if broken bones hurt more than the names we got called. From acclaimed spoken-word poet Shane Koyczan, the rallying cry against bullying that became a viral video viewed over 12 million times. 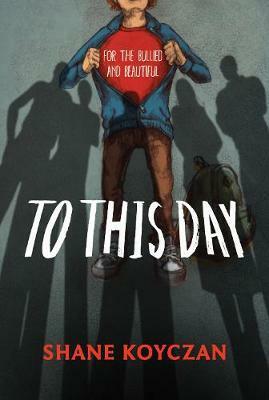 Now a dazzling illustrated book featuring the work of thirty artists from around the world, To This Day is a powerful expression of the lasting effects of bullying, and the inner strength that allows people to move beyond it. With a heartfelt personal preface by Shane, this extraordinary poem will resonate with anyone who has experienced bullying, whether as a victim, observer or participant.